When 25 renowned architecture and urban planning firms from completely different backgrounds design a new quarter in the heart of Berlin, then the results are sure to be fascinating. The designs submitted by the participating firms were correspondingly diverse. On the side of the competition organiser, particular emphasis was placed on ensuring that the concepts for the space were fit for the future, especially from an ecological, economic and social aspect. The competition followed the RPW 2013 guidelines (drawn up for planning competitions) and was held anonymously in two phases. 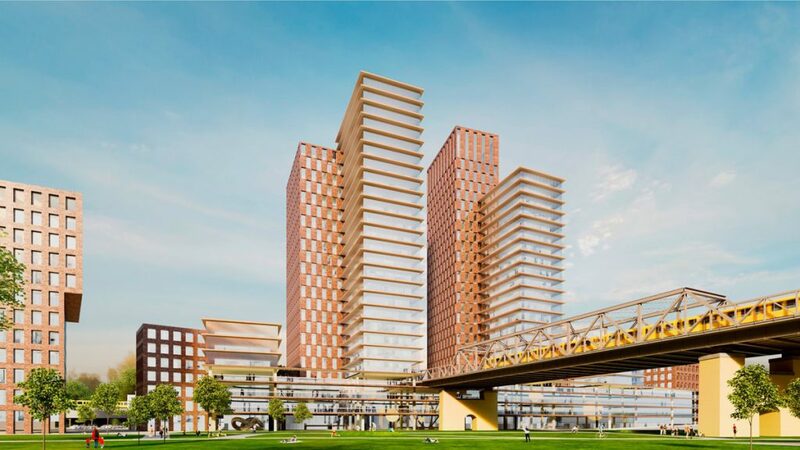 The task of the entrants was to use the already agreed consensus concept as a basis for creating the structural conditions for a suitable, diverse, mixed-used design that will enhance the quarter. The task that we have set ourselves is not easy: we want results that are fit for the future; results that give the city and its people something extra. They should endure long into the future and shape Berlin’s cityscape. 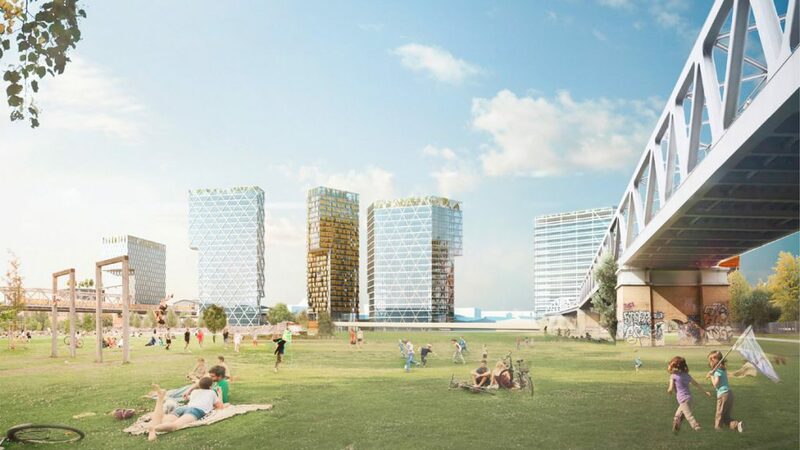 The task was also to take into consideration the architectural aspects such as how the concept would fit into the urban landscape and how the future buildings and space would look and feel. The first phase took place in summer 2015. A renowned jury, made up of architecture and urban planning specialists as well as experts with considerable project experience evaluated all of the submitted works following the preliminary assessment. Seven designs made it through to the second phase. While working on their plans in the second phase, the architects and urban planners had the opportunity to further elaborate their existing designs. 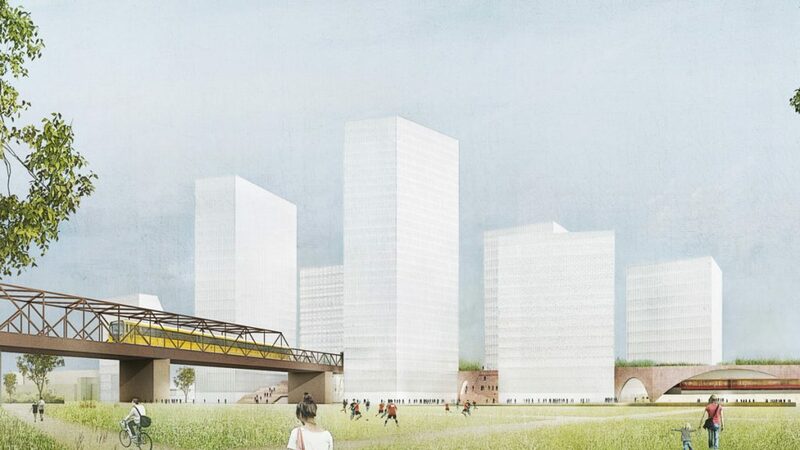 During the second jury sitting in November 2015, both COBE Berlin and Ortner & Ortner Baukunst architecture firms were named the competition winners. 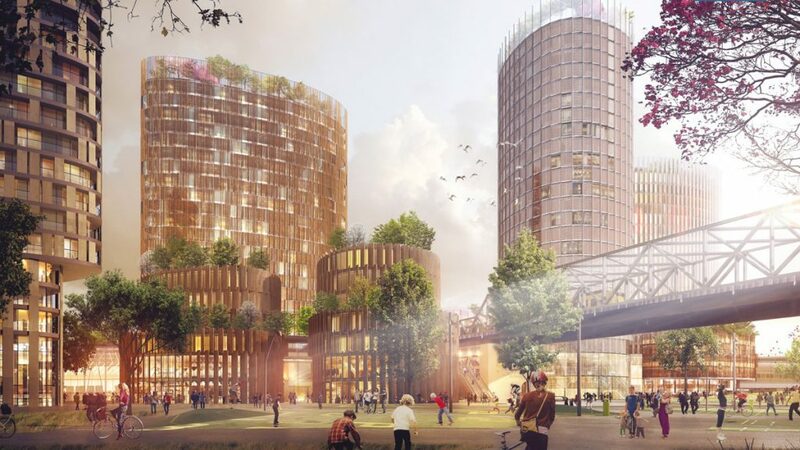 The jury members and the competition organiser were delighted with the high quality of all seven proposals for creating a vibrant and sustainable city quarter in Berlin’s Gleisdreieck area. They stressed that the architecture firms COBE Berlin and Ortner & Ortner Baukunst had done the best job of taking into consideration the identity, history and values of the location and its surroundings. 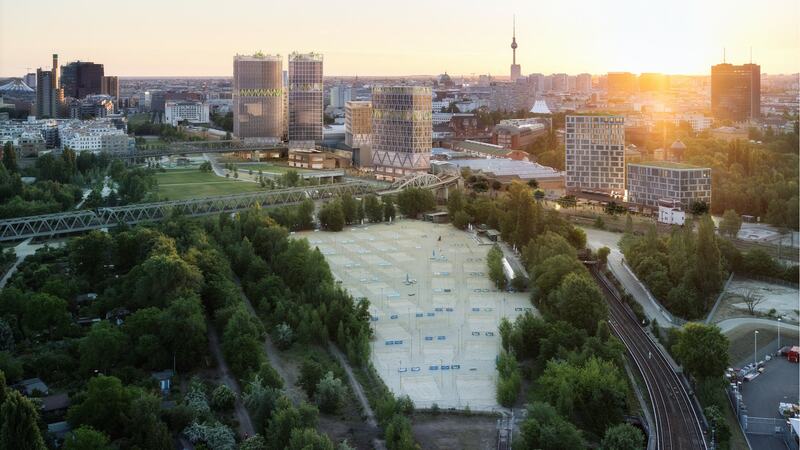 According to the jury, this location will not only be home to a trendsetting quarter, but also represent a new jewel for Berlin, connecting young and old alike. 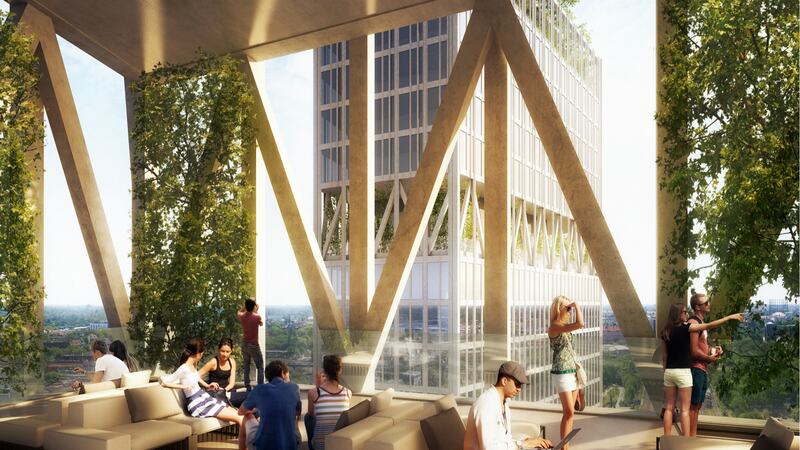 They shared the view that the site is primarily suitable for the creation of office and commercial spaces. In addition, art and culture facilities should move into the area and space for alternative sports should also be created. 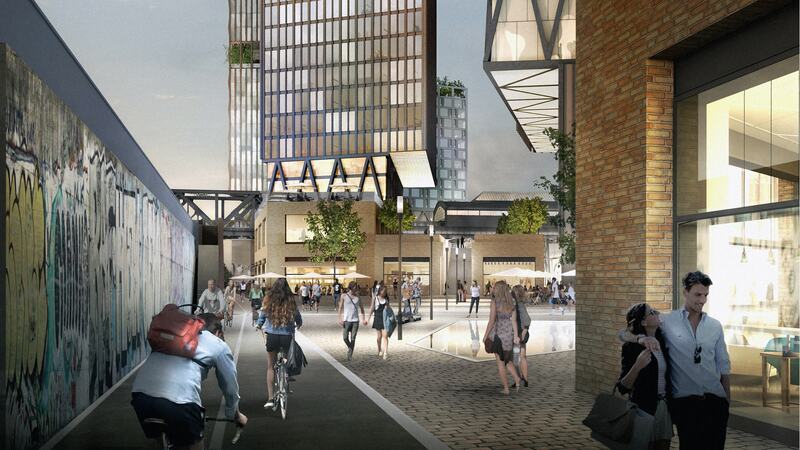 Crucial to the selection of both winning concepts was the stipulation for a vibrant city quarter to be created. Both of the winning designs met this requirement in an outstanding manner. The designs submitted by the firms Ingenhoven Architects and Sauerbruch + Hutton were also singled out for a special mention. The results of the competition are available to download as a PDF. The land use planning process began with the two winning designs. They revealed how the development could look and formed the basis for drawing up a master plan and continuing the land use planning process. After involving the public at an early stage, the design by Ortner & Ortner Baukunst was selected. For the purposes of involving the general public and public agencies in the process, the land use planning documents were displayed for one month from mid-February 2016 at Friedrichshain-Kreuzberg Town Hall. 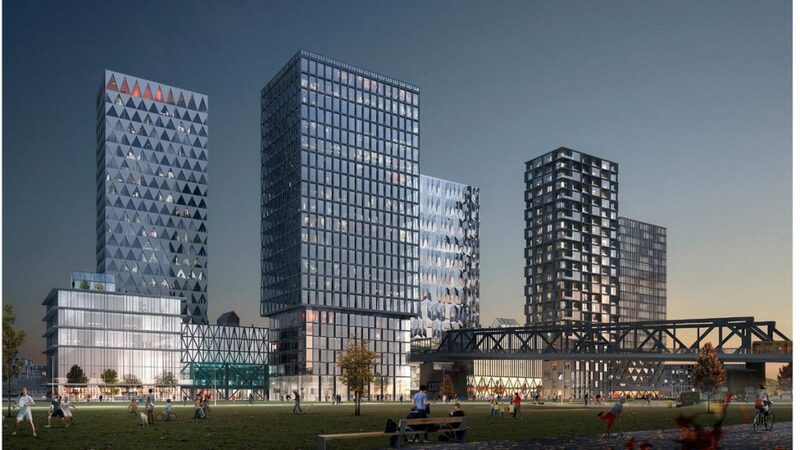 On the recommendation of planners and experts, both winning designs by COBE Berlin and Ortner & Ortner Baukunst were revised until the end of January 2016. Citizens were able to view the plans and designs at the town hall and give their views following an explanation of the aims, purposes and impact of the plans. These views were taken into consideration as part of the decision-making process. The Senate and competition organiser then got together to decide which of the two designs should serve as the basis for the master plan and the ongoing land use planning process. On 26 April 2016, after evaluating the responses from the initial participative stages on the land use planning process, the work of Ortner & Ortner Baukunst was selected. 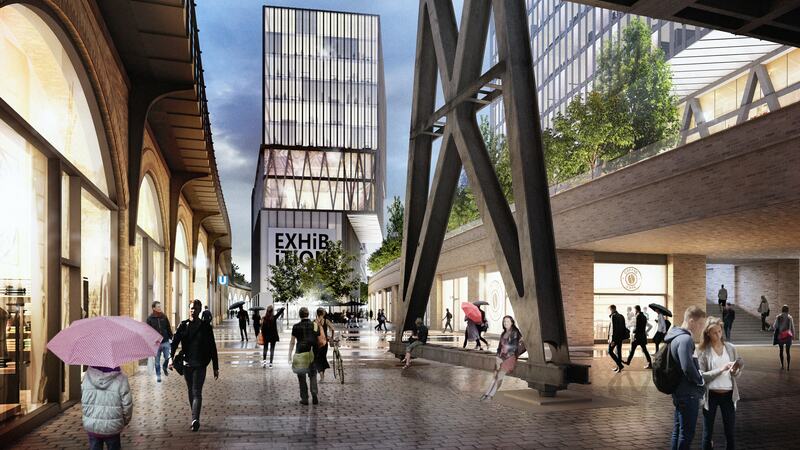 Among other things, the decision was based on the considerable flexibility of the plans, especially the integration of sports facilities and an art gallery, but also bars, restaurants and local amenities. The jurors also appreciated the buildings’ relatively large floor areas in the design of Ortner & Ortner, because there was a greater focus on building upwards rather than across. The jury took the view that this would be especially attractive to creative companies that prefer large open-plan workspaces on one level. 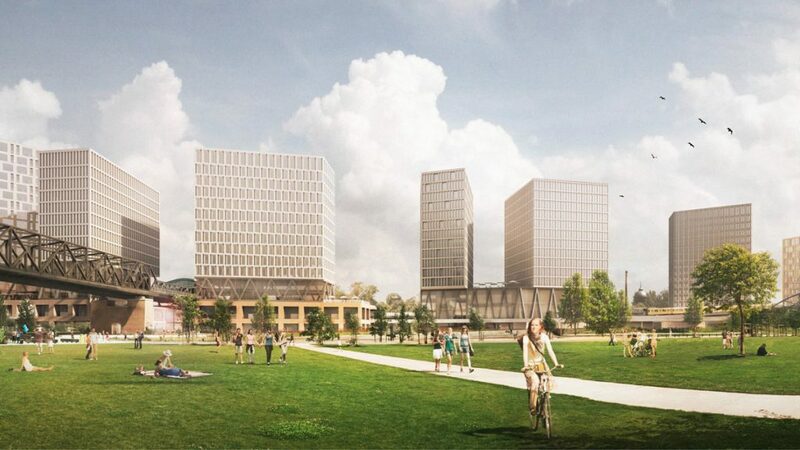 It went on to say that the wide open spaces between and in front of the individual buildings gave the entire development an airy character, creating vistas of the listed Gleisdreieck U-Bahn station. The courtyard by the entrance to the park on Luckenwalder Straße was considered an additional benefit. 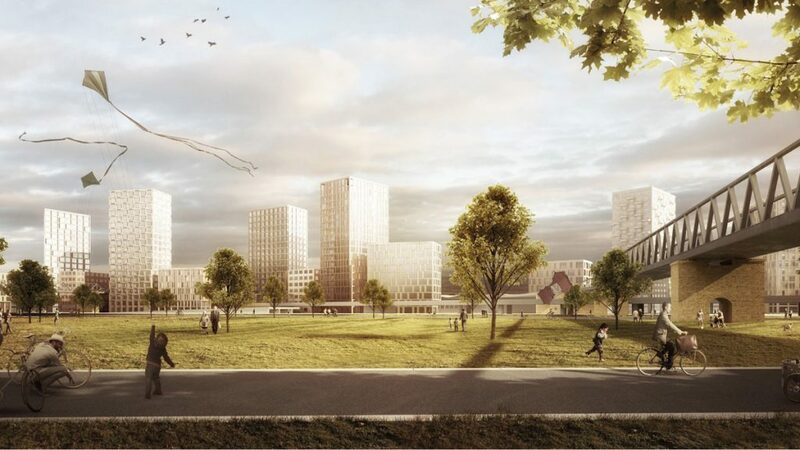 The master plan for the future city quarter was produced on the basis of the competition designs and the consensus concept worked out with the participation of the citizens and experts. 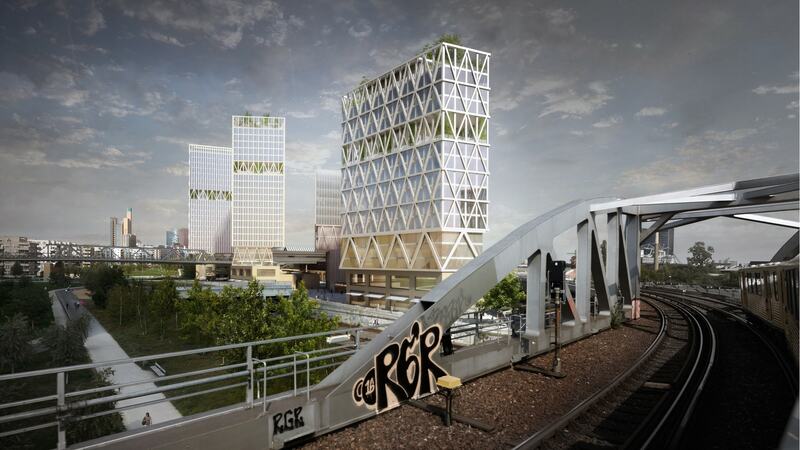 The aim of the plan is to create a vibrant location in Berlin’s Mitte district. 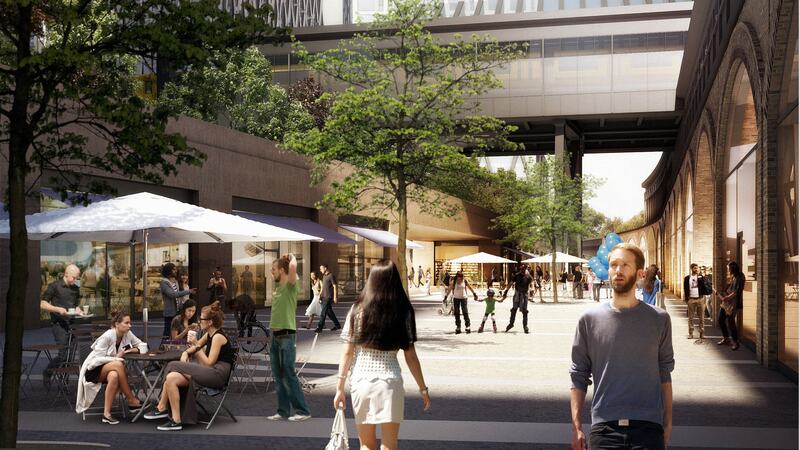 With the development of the master plan from May 2015, the Urban Mitte’s design and future usage concepts were worked out in greater detail. A number of surveys formed the basis of this work. The focus of the master plan was on developing a usage, traffic and open space concept. 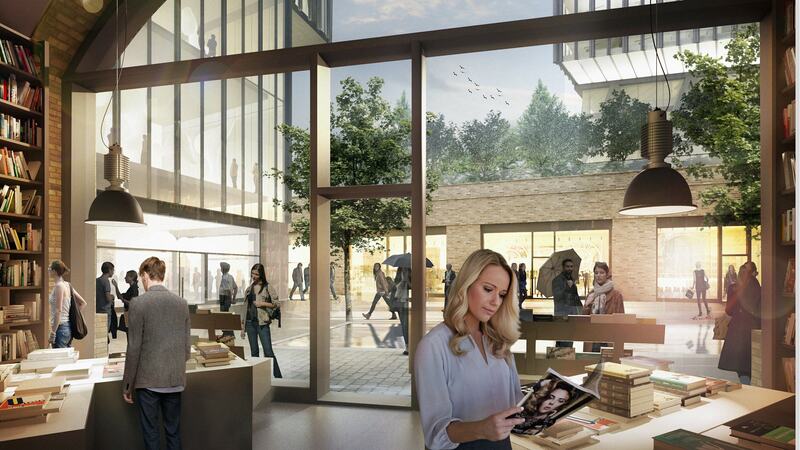 The master plan provides for a broad mix of commercial uses for the Urbane Mitte. This should ensure that the future quarter develops into a vibrant space in keeping with its surroundings. In addition to classic usage concepts – such as offices, grocery stores and bars/restaurants – spaces for art, culture and sport are also planned. The focus of traffic planning is on pedestrian and cycle traffic as well as local public transport. The traffic concept integrates the linking of a long-distance cycle path and a number of parking spaces. 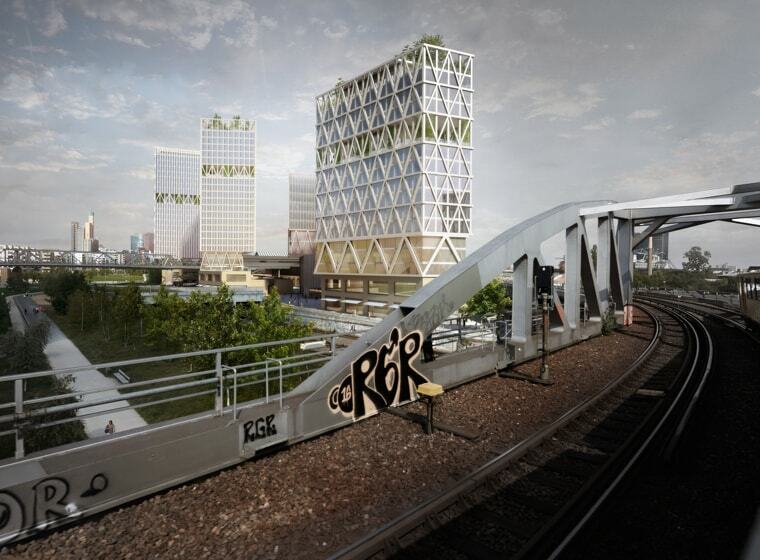 The site is also centrally linked to public transport with the already existing U-Bahn station. Due to the location and the conditions, private motorised transport plays a subordinate role to the aforementioned traffic users. The emphasis here is on car sharing and e-mobility.With the open space concept, the outdoor areas will be designed as places for encounters and interaction. This will be achieved with promenades, outdoor sports facilities and the surrounding park. 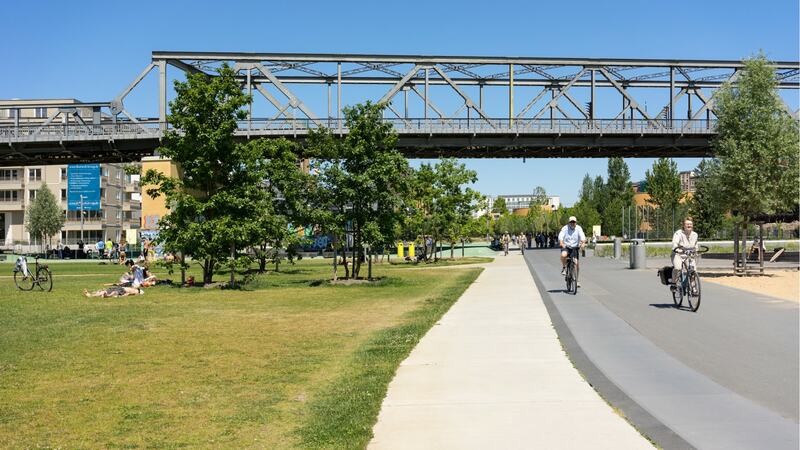 The designs set out in the master plan form the basis for allowing the Urbane Mitte to grow into an urban location that is fit for the future, combining living and working in a completely natural way. From a land use plan to the planning permission. The Urbane Mitte becomes tangible. In parallel to the master plan, work began on drawing up the land use plan. After the planning decision taken by Friedrichshain-Kreuzberg District Council on 20 May 2015, the structural and legal planning process for the Urbane Mitte got under way. Following the measures aimed at ensuring public participation at an early stage and early agency involvement during the period from 15.02.2016 to 15.03.2016, the numerous submitted statements were weighed up between mid-2016 and mid-2017, many expert reports were produced and votes were taken on all of the individual matters. At the start of November 2017, the resolution was passed to involve the public agencies. The plan in 2018 is for the public agencies to weigh up the statements. From mid-2018 onwards, the resolution will be passed relating to public participation, followed by another round of public consultation. The land use plan should be finalised in 2018 and planning permission should then be granted. This will then clear the way for the start of construction work.